It's the one day of the year people get to shamelessly trick one another with elaborate pranks. 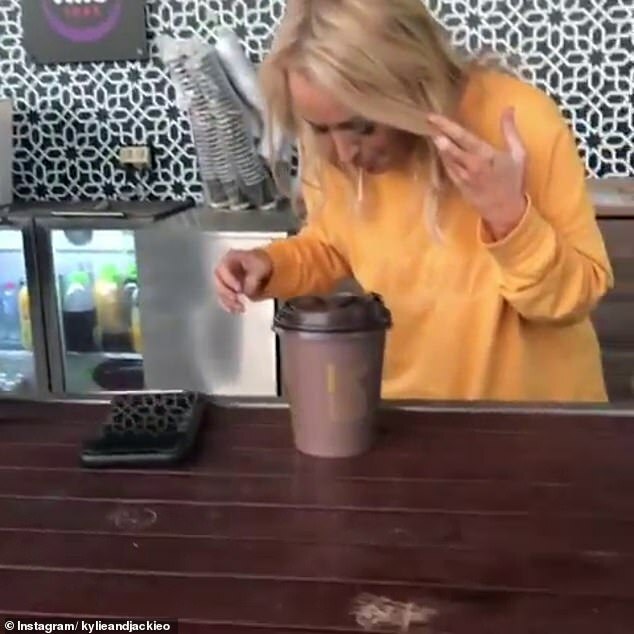 And ahead of April Fool's Day, Jackie 'O' Henderson's co-workers jokingly put lemon in her coffee. 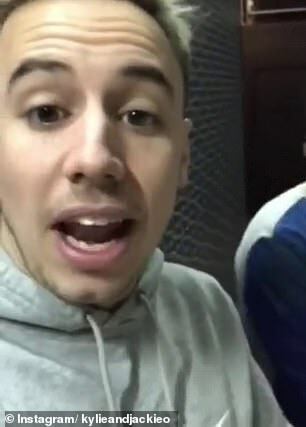 On Monday, Kyle and Jackie O's junior producer Pedro Cuccovillo Vitola shared the radio star's hilarious reaction in a video posted to Instagram. 'Guys, for the last week Jackie's been complaining that her coffee has been tasting a little bit lemony (sic),' he said in the clip. In the background, another one of Jackie's co-workers is seen chopping large chunks of lemon for the trick. 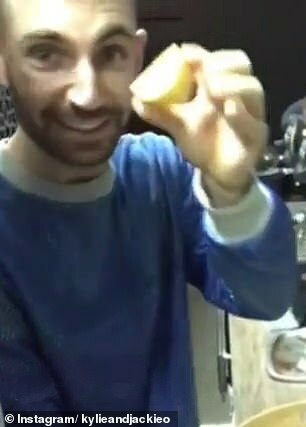 'It's April Fool's, so we're gonna get some lemons and we're gonna be putting it in her coffee to see what she says,' Pedro added.